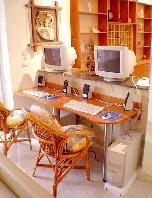 Aphrodite Hotel is a C class family hotel built in the city of Rhodes since 1984. It is situated in the tourist center of the town, 50m. from the beach and 300m. from Aquarium of Rhodes, at the north of the island. The area has a big number of restaurants, bars, cafeterias and all kinds of facilities for all ages. The hotel was restored the year 2001. There is a new and very nice swimming pool with free of sun charge sun beds and umbrellas and a roof garden facing the street or the pool. The bar is facing the street, opening from 10:00 am late at night, offering all kind of drinks, cocktails, ice creams and snacks a buffet is being served each morning at the breakfast room from 07:30 to 09:30 am. The reception service is at your disposal 24 hours a day and provides as well safety boxes, fax service and rental for motorbikes or cars. There is also a spacey lounge - TV room, with satellite TV on a 43 inches monitor. All the rooms have private facilities such as balcony, A/C, WC with shower or bath and direct phone. May - June (Room Rate): 40 Euro with breakfast. 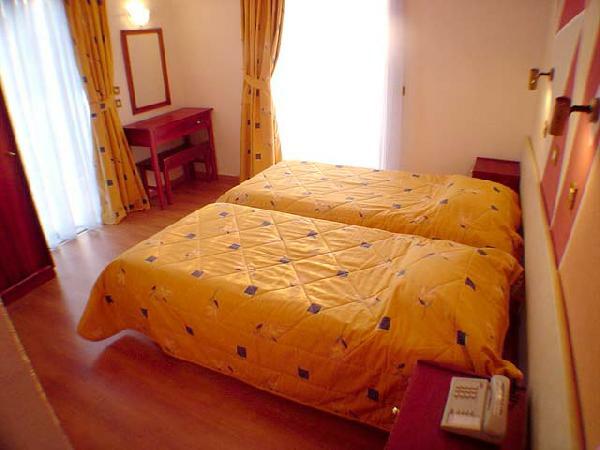 July - August (Room Rate): 55-60 Euro with breakfast. Septempber (Room Rate): 45 Euro with breakfast. October (Room Rate): 40 Euro with breakfast. Είστε ιδιοκτήτης ή διευθυντής στο APHRODITE HOTEL ( VENUS HOTEL); Εγγραφείτε τώρα για δωρεάν εργαλεία, που μπορείτε να χρησιμοποιήσετε για να βελτιώσετε την καταχώρησή σας και να συνδέσετε την ιστοσελίδα σας και το σύστημα κρατήσεών σας.